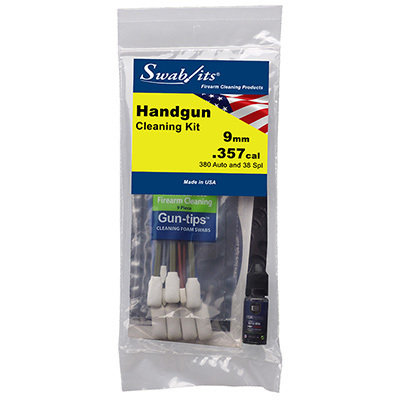 Protect what matters with Swab-its 9mm/.357cal/38spl/380auto Handgun Cleaning Kit. Using lint-free and reusable tools combined with BREAKTHROUGH Battle Born HP PRO users can clean, maintain, and preserve the guns relied upon the most. - Swab-its 9mm/.357cal/38 spl/380auto Bore-Sticks: 8.5 inch long caliber specific bore, cylinder, and chamber cleaning tools. 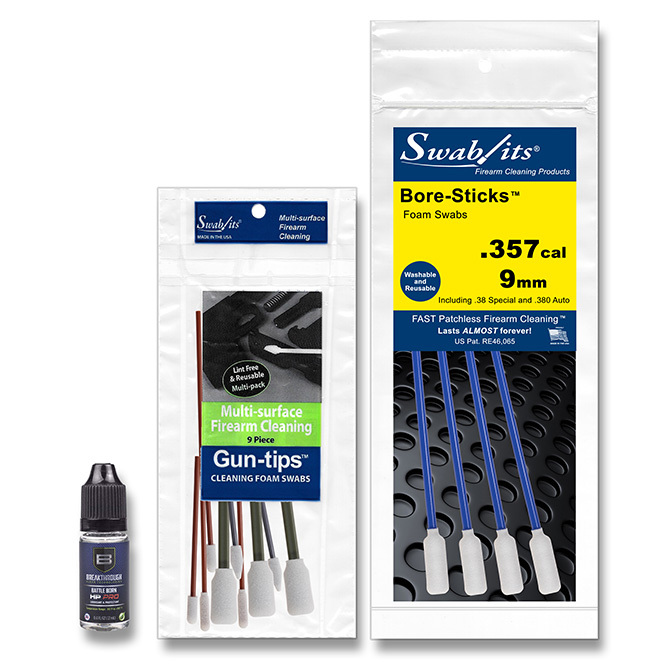 - Swab-its 9-piece Multi-Surface Gun-tips: Four unique swabs designed to reach and clean triggers, bolts, and chambers. - BREAKTHROUGH Clean Technologies Battle Born HP Pro 0.4FL oz: Provides long-lasting corrosion protection and lubrication. Find more information on BREAKTHROUGH Clean Technologies Battle Born HP PRO by visiting the Technical Data Sheet.